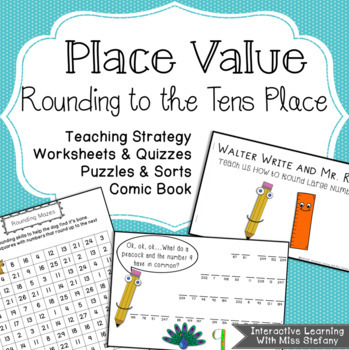 Bring place value and rounding to life with this comprehensive packet. 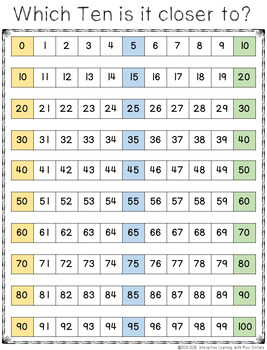 You get everything you need to teach the skill of rounding to ten for 2-digit and 3-digit numbers, and then expand that reasoning to larger numbers. *Teaching Strategy with 8 differentiated reference sheets, to help the concept of rounding more clear for visual learners. *5 Practice Pages to help students grasp the idea of the closest ten. 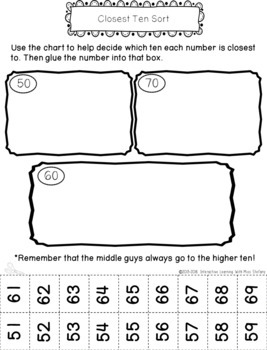 *9 Pages of Sorts to help students cement their knowledge of closest ten. * 4 Mazes help students mentally round numbers within 100. *6 Cumulative Quick Quizzes to asses your students' progress. 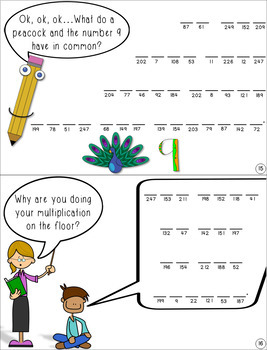 * Comic Book "Walter Write and Mr. Rule Teach us How to Round Large Numbers" presents the rounding rules and place value concepts in a fun format. *Added Practice in the comic book format, including several cryptogram puzzles, to help your students master the skills. *2 Bonus Hidden Pictures for added practice with number into the thousands.